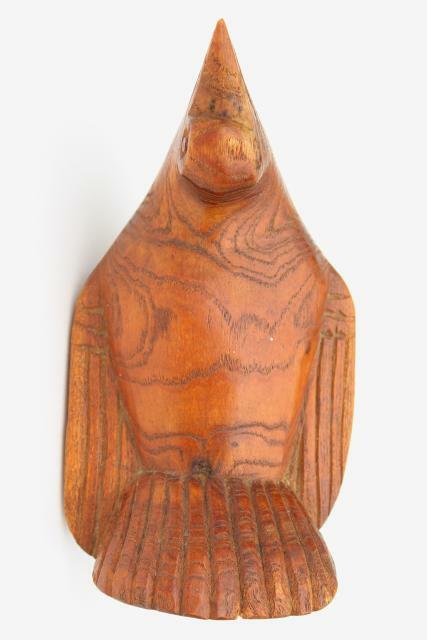 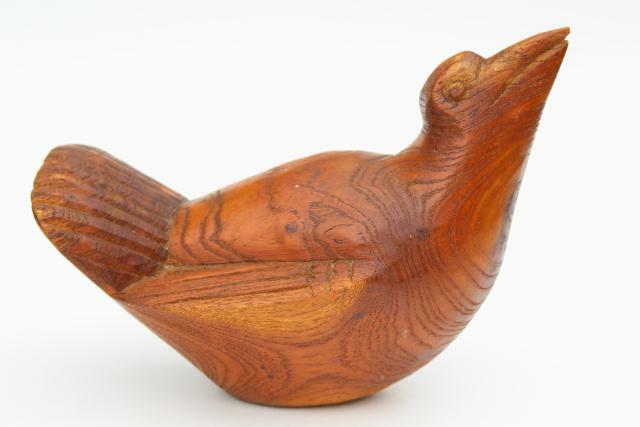 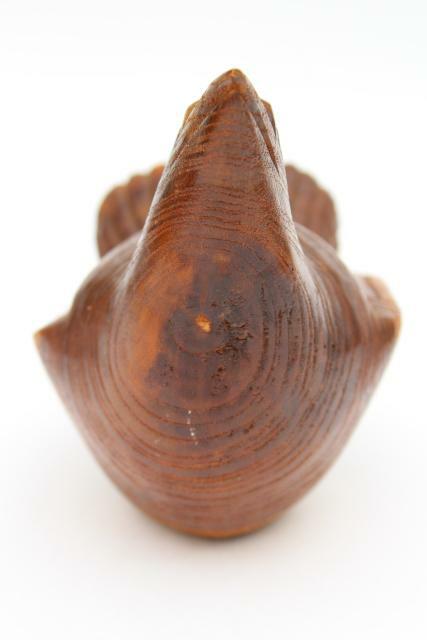 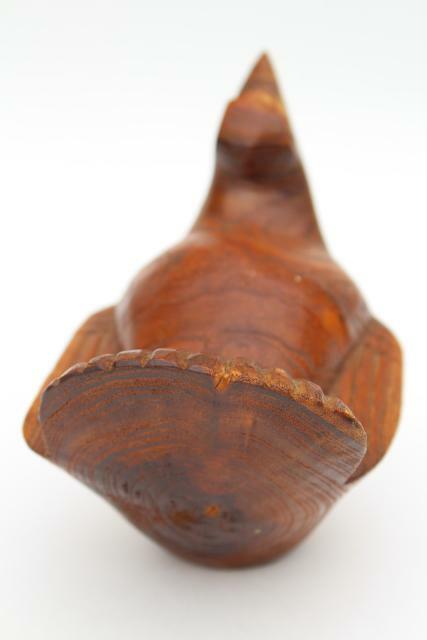 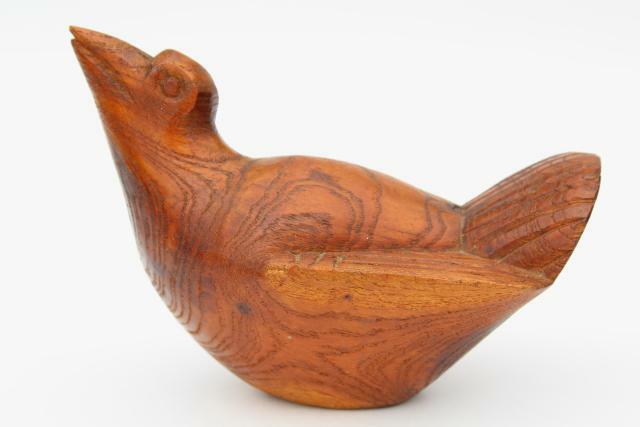 Unmarked, unsigned hand carved wood bird - this looks to us like a kookaburra or maybe a South American pigeon? 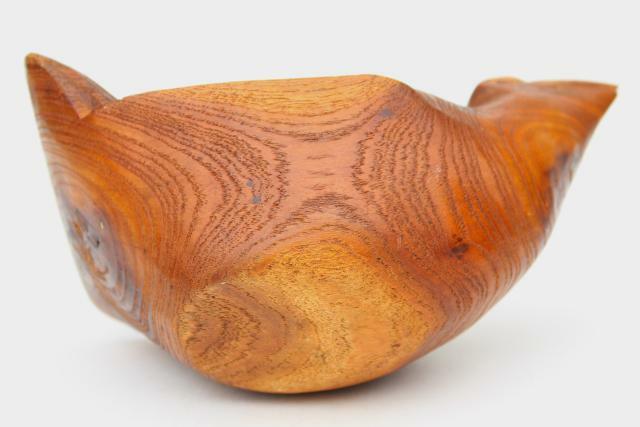 We aren't sure where it hails from, though it looks like a tropical wood to us. 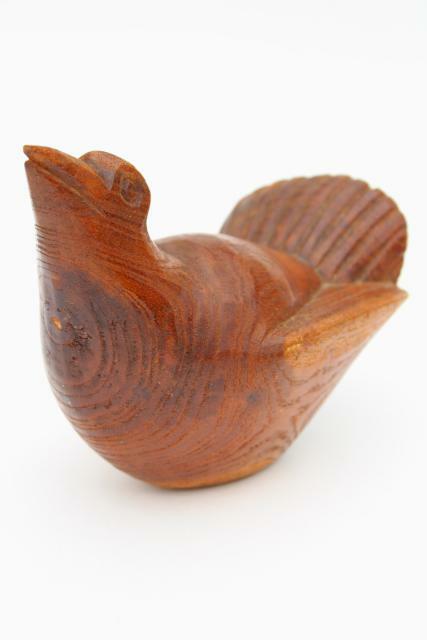 It's a impressively large size, about 5 1/2" tall x 7 1/2" long. 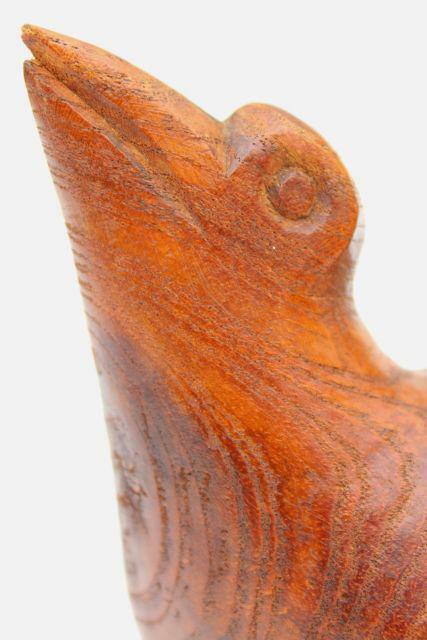 We love it's captivating and slightly frightening expression!